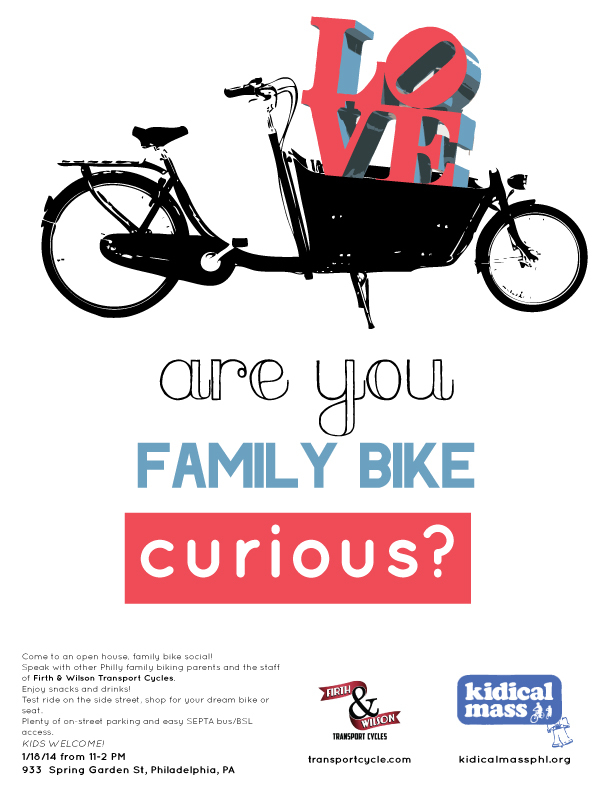 Saturday 1/18/2014: Kidical Mass Philly & Firth&Wilson Welcome the Family Bike Curious! We hope to see you this weekend at the open house event at Firth& Wilson. This event takes place in lieu of a ride this month, so if you already have wheels no big deal come on by to say hello. If you are curious about family biking we really hope you will make it to the event we are here to learn from one another and the staff of Firth&Wilson.